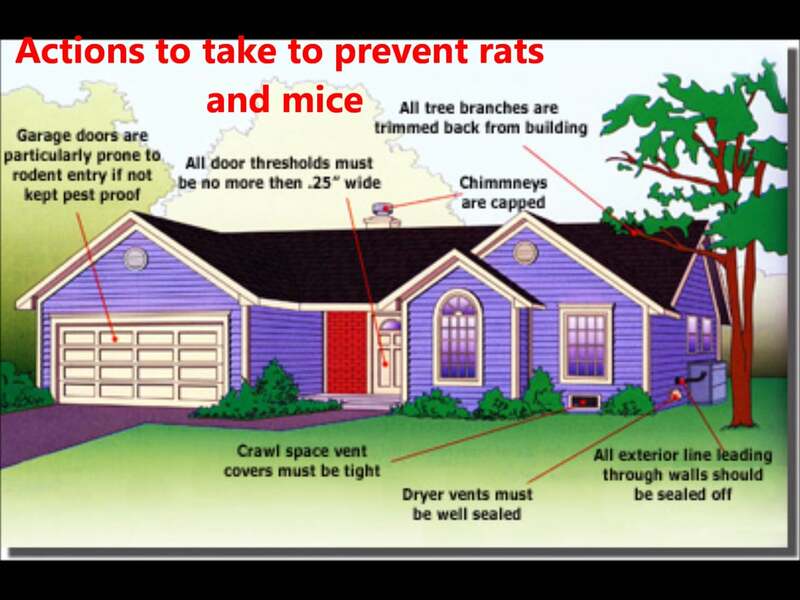 Rats are a problem most people don't want live with but what can you do to remove them from your home or garden? Rats are carriers of salmonella, Weil's disease, e-Coli, tuberculosis and cryptosporidiosis which can be transferred to humans and any pets living in a property. In addition, it is common for them to have mites, fleas and ticks that can cause allergic reactions. For some people having rats in their garden isn't a major cause for concern but it won't be long before they progress to the house. Some properties have convenient cat flaps allowing easy access but it's surprising just how small a space rats can squeeze themselves into. It common for rats to gain access via waste pipes and they are able to force themselves through gaps of around 1cm. With rats being nocturnal and generally afraid of humans, it's not often that they are seen. However, it's not usually difficult to find evidence of their presence. Once you do you should take the precaution of wearing a mask and gloves for protection. One of the first signs of a rat infestation is the tell-tale droppings. They leave these behind almost everywhere they go and are dark coloured, slightly tapered and measure from 10 to 14mm in length. You might also notice an ammonia-like smell coming from places they inhabit like lofts, sheds and spaces under the floorboards. As they are usually out and about at night you might hear them scratching about in roof spaces, cavity walls or under the floorboards as you're trying to get to sleep. In addition you might find evidence of where they have been gnawing on wood, chewing through food packaging and tearing at paper. 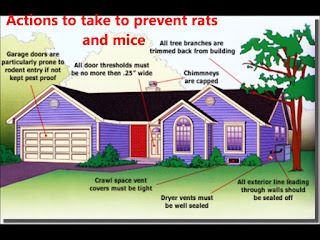 Once you know you have a problem with rats you will need to find where they are nesting to be able to get rid of them. Look for gaps and holes under decking, in outbuildings and under the eaves of your roof. Remember, it doesn't need to be a huge hole for a rat to fit through. The nests themselves will generally be well hidden in warm, dark places so you will need to look for scraps of paper, material and plastic that have been scavenged to form them. Rats, like most animals, want somewhere warm and dry to live with a good supply of food. So, take a look around the garden, outbuildings and house to see where they might gain access and what they might find tempting. Fill in holes and gaps and make sure vents and pipes are inaccessible; make sure your bin isn't overflowing and that it is properly closed; don't leave pet food bowls outside. Inside your house, try to store food in cupboards that can't be accessed or in sealed containers. There is a wide variety of products available to help to get rid of rats and keep them away and they can be found in most large supermarkets, DIY stores and garden centres. Always follow the manufacturer's instructions and if you use poisons, make sure you place them in child-proof containers.